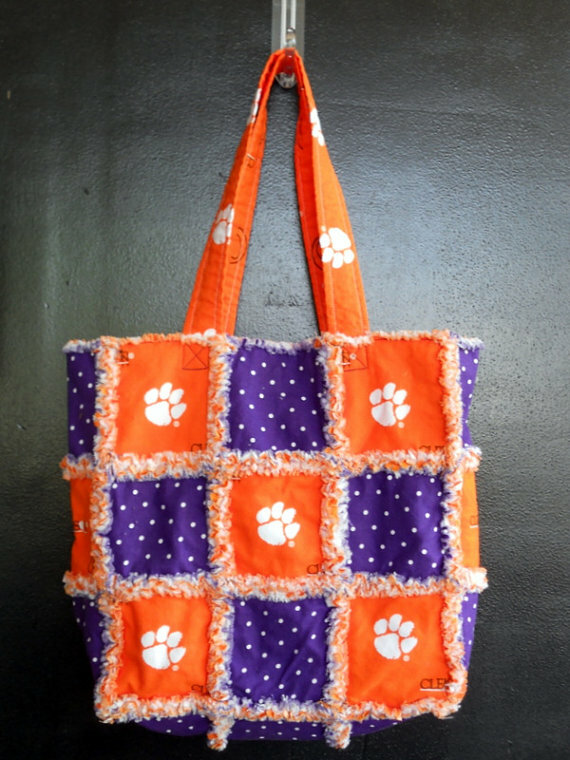 Now and again we like to visit one of our fave all-things-handmade sites, Etsy.com, and treasure hunt for the latest and greatest Clemson finds. 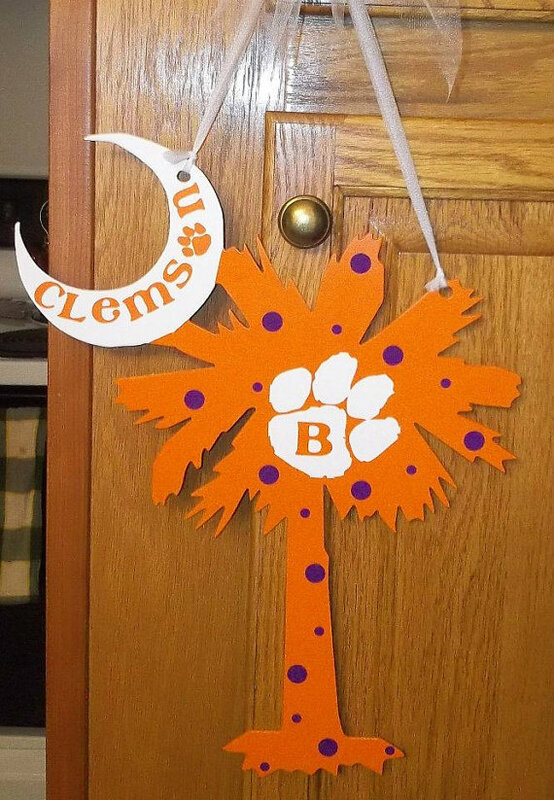 Etsy is a great place to find unique Clemson gifts for the Clemson fans in your life. Love this Palmetto Tree sign! 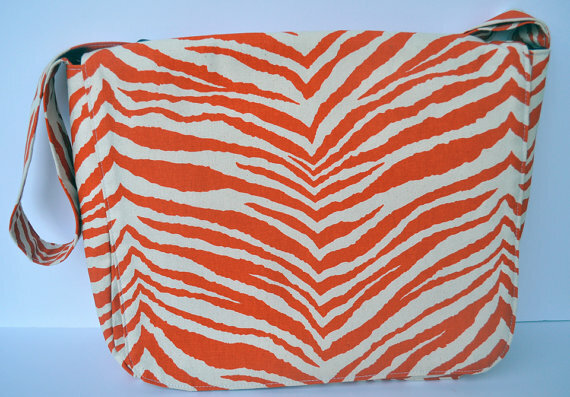 This tiger striped messenger bag is so cute - perfect for school or work. This shabby chic bag is cute too - a great 'hold everything' tailgate bag. 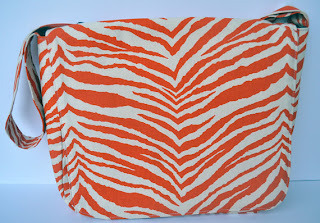 Love, love, love this nautical inspired bracelet - so unique. Etsy is a great place to find adorable gameday outfits for your little fans. This Greenville-based seller has you covered! 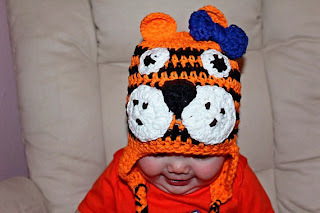 I wonder if they make these adorable tiger hats in adult sizes!?! 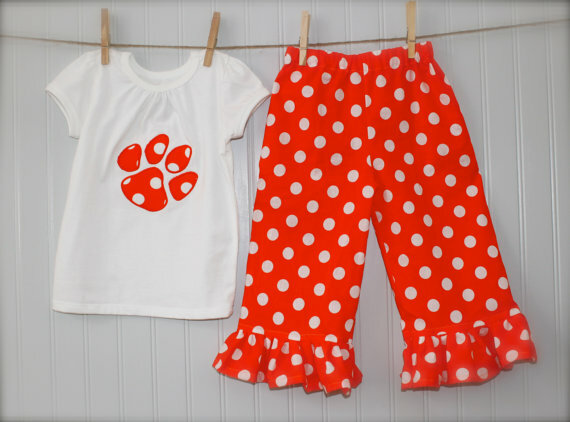 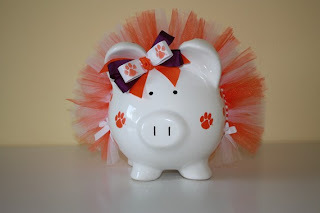 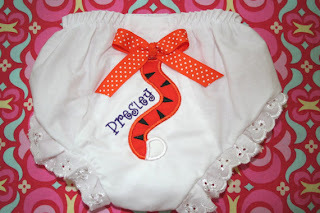 An adorable way to give your little Clemson Girl a Tiger Tail on gameday! 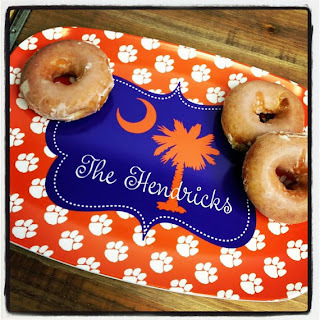 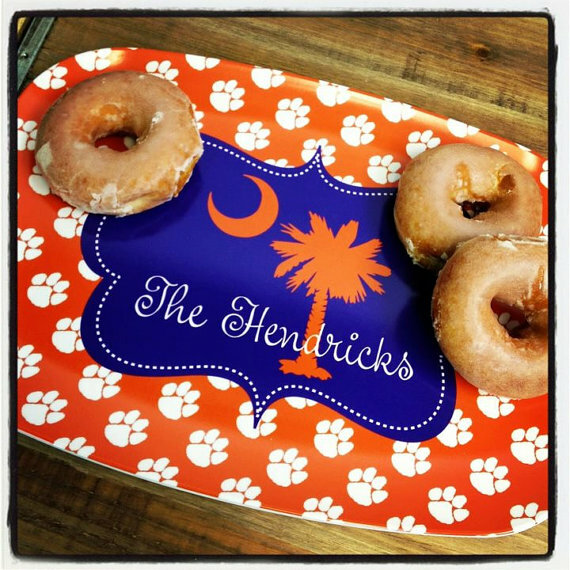 This personalized serving tray would be a great accessory for your tailgate. 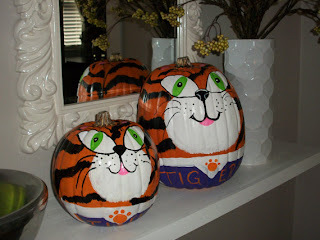 Now these are the type of Halloween pumpkins I want on my doorstep! 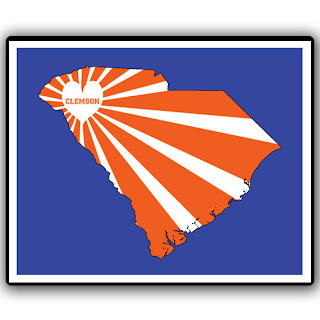 This printable sign would be a great framed gift for a Clemson grad. 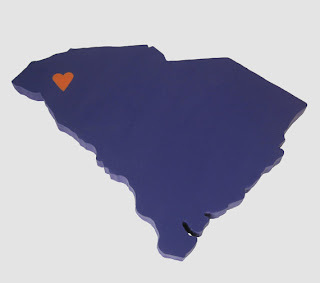 Show everyone where your heart really lies with this wooden South Carolina. 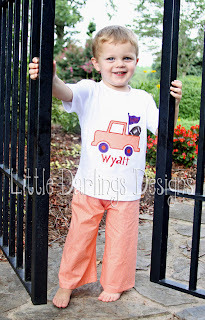 You can also find Little Darling Designs on Facebook! 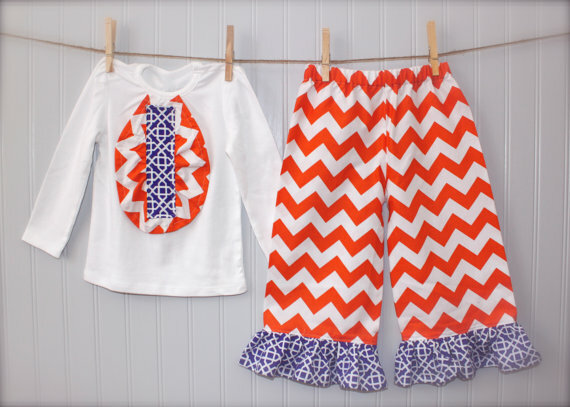 Love her stuff!